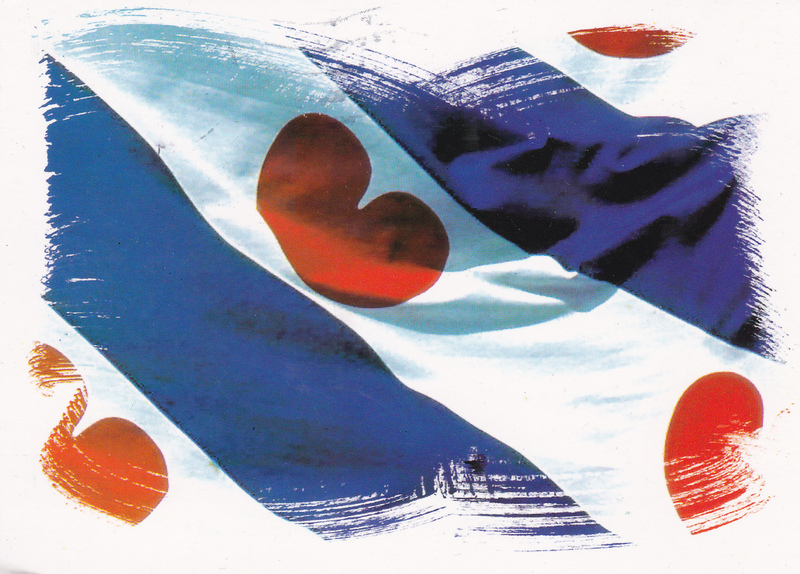 This lovely card shows a part of the flag of Friesland, a Dutch province in the north. 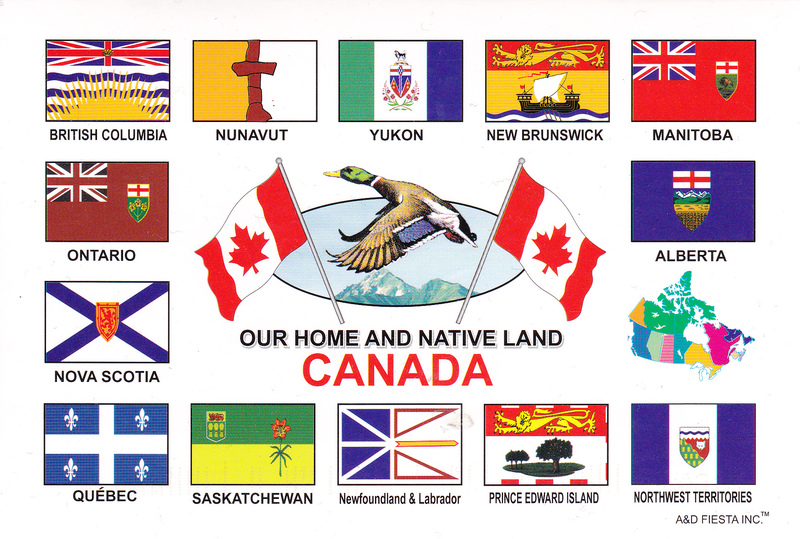 This is my first postcard showing a regional flag. It consists of four blue and three white diagonal stripes; in the white stripes are a total of seven red pompeblêden, leaves of yellow water-lily, that may remind of hearts, but according the official instructions “should not be heart shaped”. 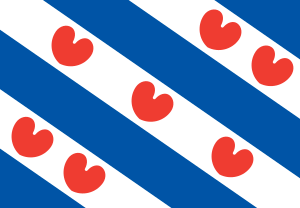 The jerseys of the football club sc Heerenveen and the Blauhúster Dakkapel are modeled after this flag. The seven red pompeblêden are a reference to the Frisian “sea countries” in the Middle Ages, independent regions along the coast from Alkmaar to the Weser who were allied against the Vikings. 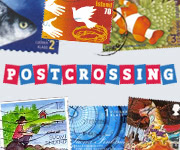 There were never precisely seven distinct rulers, but the number seven probably has the connotation “many.” Some sources hold, however, that there have been seven Frisian lands: West Friesland,Westergoa, Eastergoa, Hunsingo, Fivelingo, Emsingo, and Jeverland. Unfortunately, I have only been once to this very flat but beautiful area near the coast. This was many years ago, when I was still playing water polo and played at a tournament in Emden. Good old times. Interestingly, my favourite beer comes from this region as well: JEVER!!! Unfortunately, hard to get in the UK and then very expensive but I just love this strong flavoured hoppy beer.